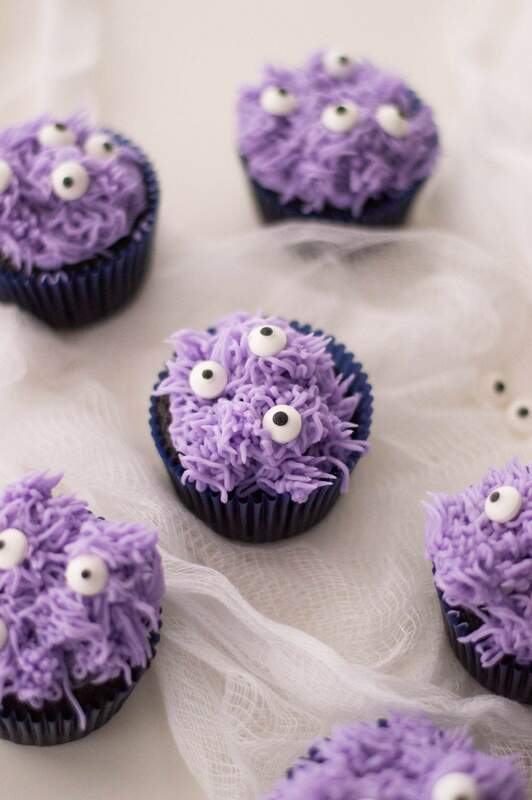 These funky Purple Monster cupcakes are an amazing treat that you will love to make with the little ones for a Monster or Halloween party. 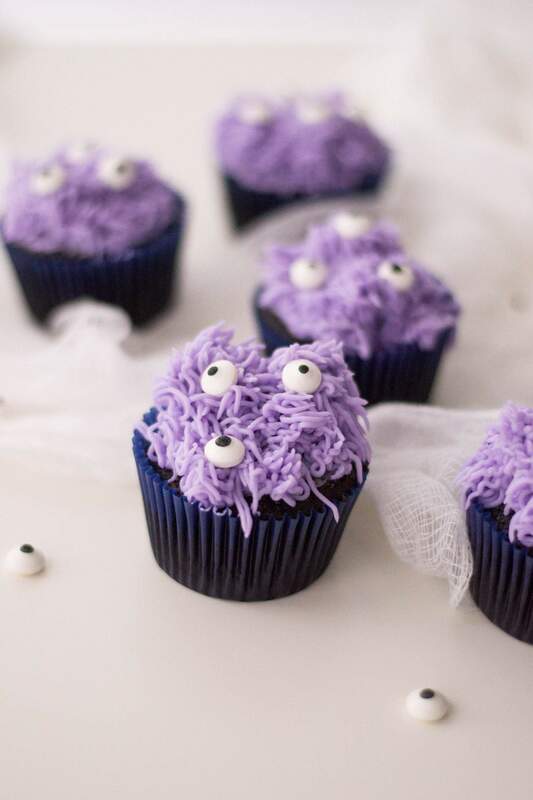 Monster cupcakes are simple and easy to decorate. 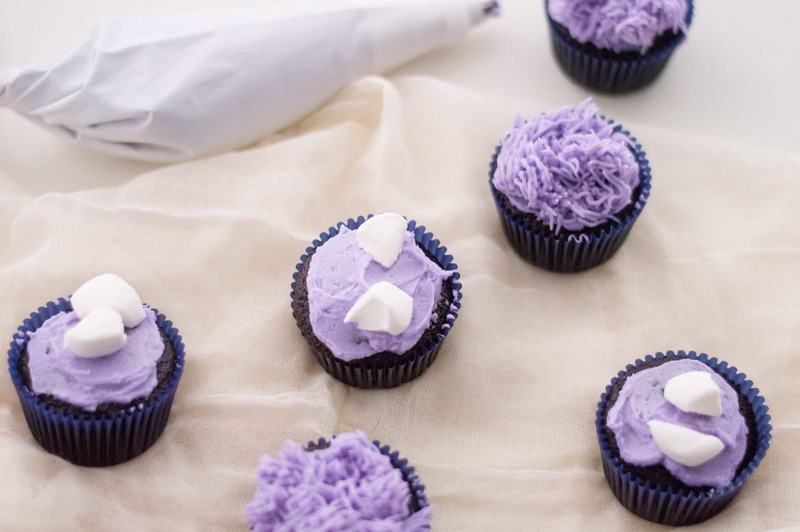 You don’t even have to bake the cupcakes if you want to focus solely on the decorating or you could have fun baking with the kids and decorate at the end. Either way these googly eyed cupcakes are sure to go down a real treat. 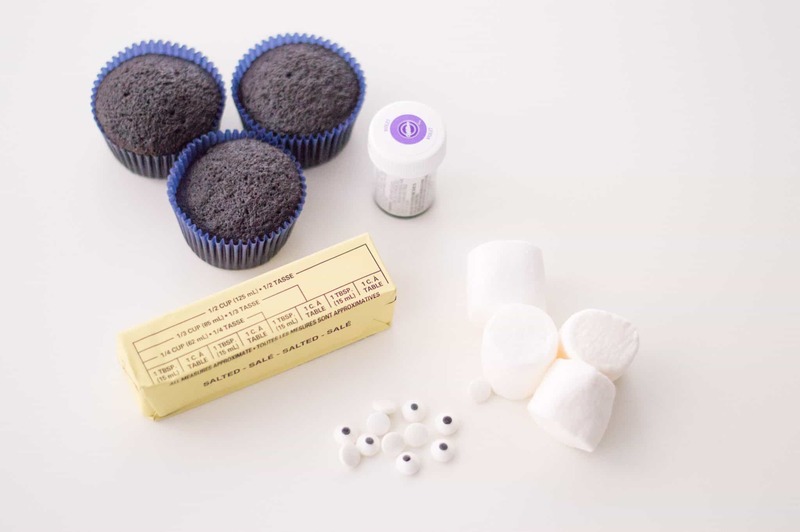 Ensure that your cupcakes are cool so that you can start decorating. 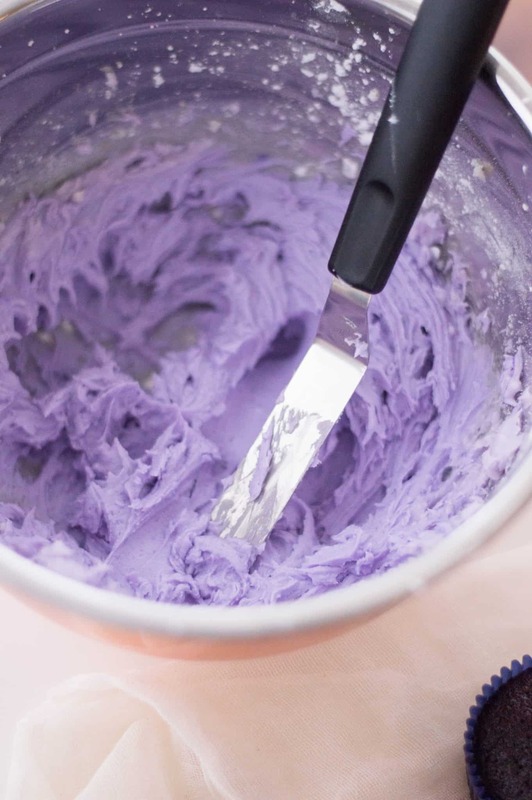 Start by making your buttercream: in a stand mixer, start beating butter, sugar and milk on medium speed, gradually increasing it to high. Add a couple of drops of violet gel food coloring and mix until completely tinted. 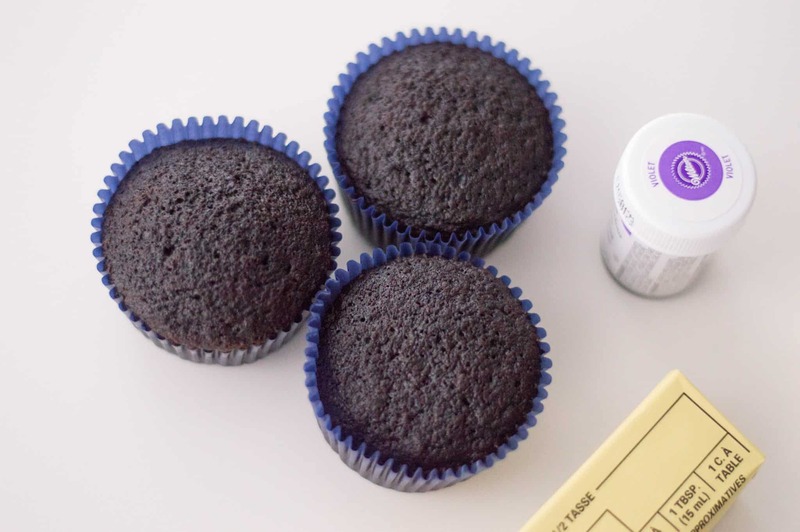 With an offset spatula, spread some buttercream on top of each cupcake. 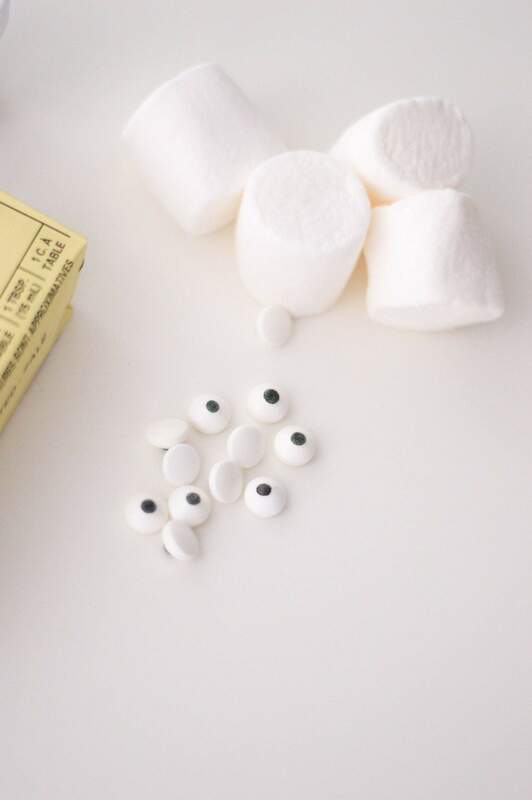 Cut your marshmallows into small pieces. Place 2 or 3 on top of each iced cupcake. 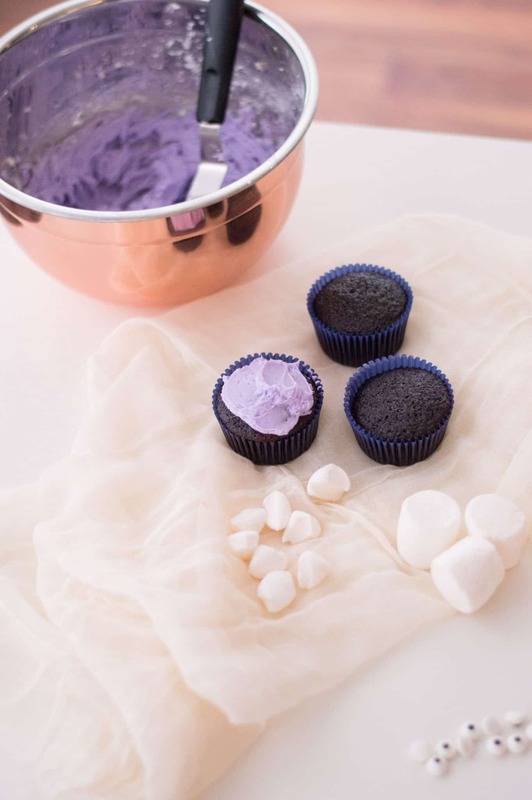 Scoop the remaining buttercream into a piping bag and use Wilton tip #233 to frost each cupcake, being sure to cover it completely (the marshmallows are there to create some “hills and valleys”). 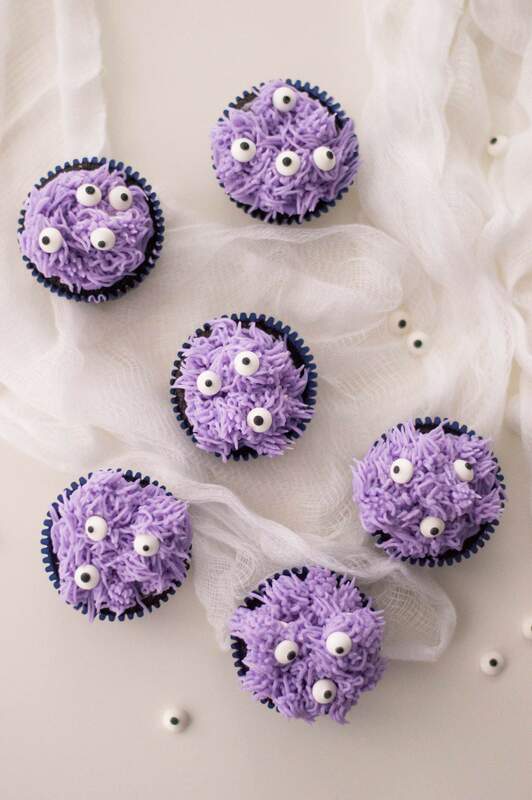 Place 2-4 eyes on each cupcake and enjoy your new, furry, purple monster!